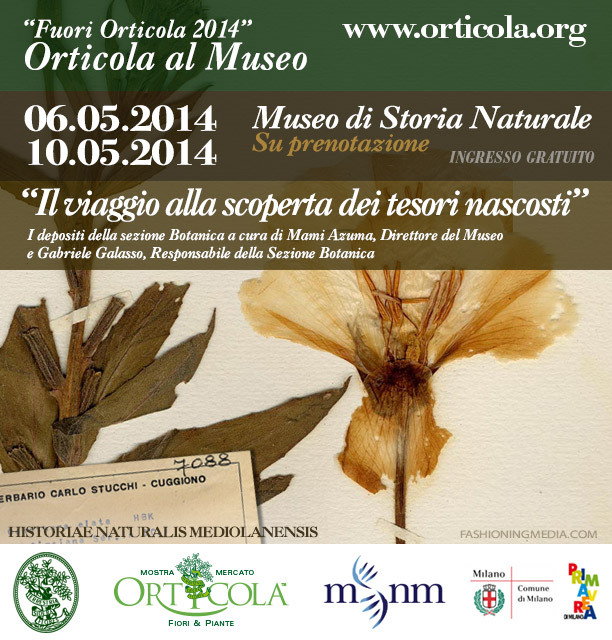 For several years the Associazione Orticola di Lombardia (the Lombard Horticultural Society), in keeping with its philanthropic customs, has organised “Orticola in Museums” in cooperation with Milan Municipality, each time with cultural events and performances in theme with the aims of the Society. These take place in the museums which are an integral part of Milanese culture, where different artists are invited to interpret the mission of the Society through their work: including painting, photography and flower arranging. Conferences and book launches are also organised, as well as guided tours for Members interested in learning more about works of art conserved in the galleries. “The Study Days” is a cultural meeting program conducted by Filippo Pizzoni and Margherita Lombardi for Orticola di Lombardia. The first four years program took place between 2012 and 2015. The second four-year period 2017-2020 continues and the last meetings took place on March 23rd and 24th, 2018. 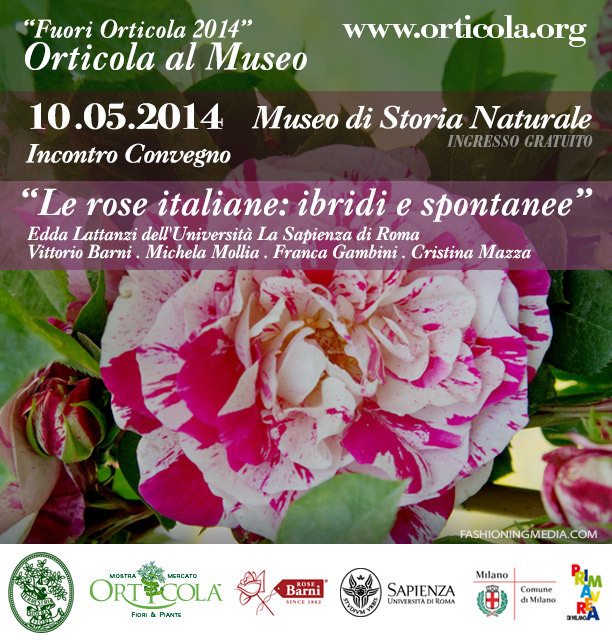 In May 2014, in concurrence with the Orticola Flower Show in the Indro Montanelli Gardens, the “Outside Orticola” programme added new socio-cultural activities to the traditional cycle “Orticola in Museums” related to the theme of the XIXth Orticola Flower Show. 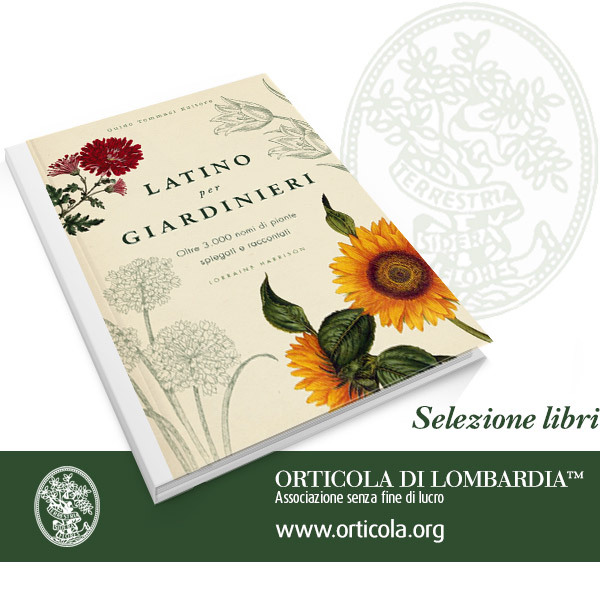 During the Orticola week an exhibition of books and magazines dedicated to plants and gardening covering sixty years of Italian history, from the foundation of “Il Giardino Fiorito” to “Gardenia”, was displayed in the Maria Theresa Room. In 1931 the magazine “Il Giardino Fiorito” was issued by the Società Amici dei Fiori (Friends of Flowers Society) coordinated by Mario e Eva Calvino. Since that date various publications have dealt with the theme of gardens and gardening to boost a debate long since dormant in Italy, culminating in a period of particular interest due to the writings of Ippolito Pizzetti in the series edited by him for Rizzoli, l’Ornitorinco (the Platypus). In the wake of this renewed interest in plants and gardens Gardenia was launched in 1984, edited by Francesca Marzotto Caotorta and published by Giorgio Mondadori. 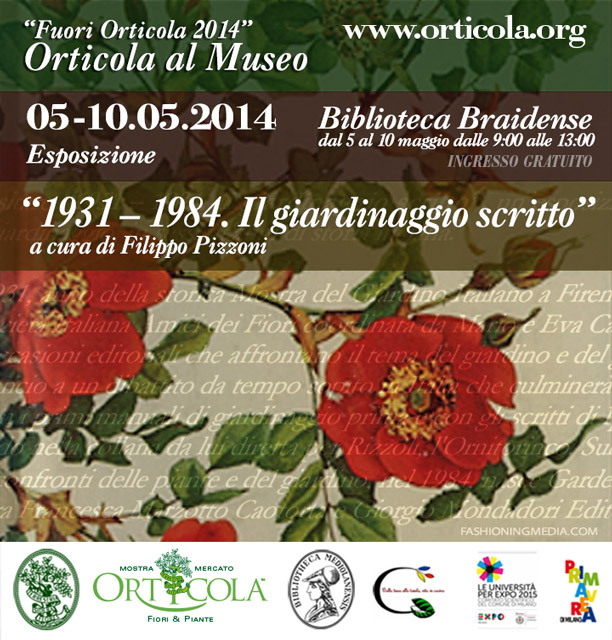 Filippo Pizzoni, landscape architect, Councillor of the Lombard Horticultural Society and curator of the exhibition. An afternoon meeting entirely dedicated to our country’s roses and the work of a rose breeder. The history of Italian roses, from those that grow wild in our landscape to those created by expert Italian breeders. Vittorio Barni, heir to the family of famous rose growers in Pistoia. The conference rounded off with a documentary by Michela Mollia and Franca Gambini directed by Cristina Mazza. 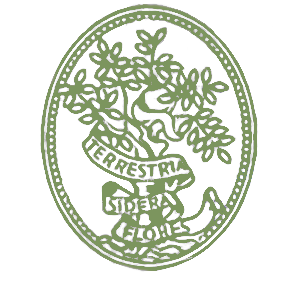 A search for hidden treasures amongst the botanical storerooms of Milan’s Natural History Museum, through the pages of Herbariums dedicated to roses and the famous “Libretti di Monza”, a collection of great scientific worth and beauty. These are little wooden books which, when opened, show the bark, flowers, seeds, pollen, carbon in some cases, a parchment with a list of samples of the species, the provenance of the plant: the collection even includes a section of a Sequoia with a diameter of 3.3 metres! The free guided tours were by booking for a total of six meetings, between May 6th – 10th 2014. The storerooms of the Botanical sector of the Museum are supervised by Mami Azuma, Custodian of the Botanical sector, and Gabriele Galasso, Head of the Botanical sector. Apart from the exhibitions of Fine Art Photography, and the Study Days at GAM (the Milan Modern Art Gallery), “Orticola in Museums” hosts the presentation of fascinating books. 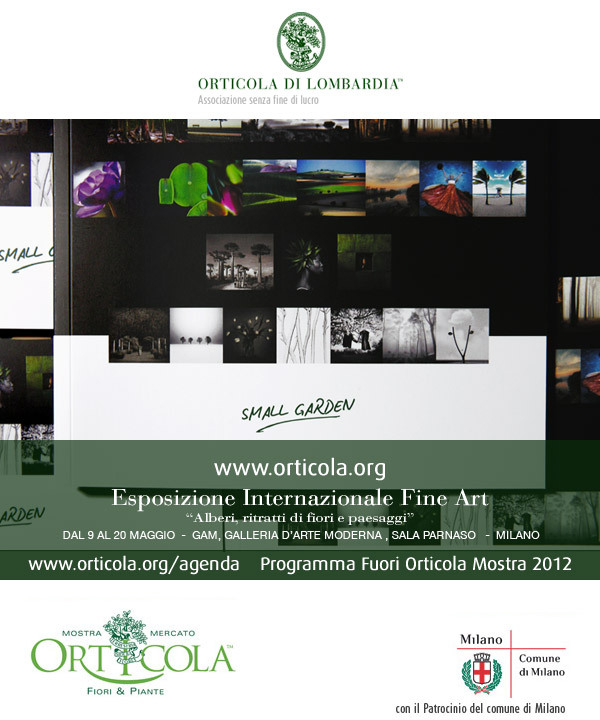 “smallGARDEN” an International Exhibition of Fine Art Photography. A venture to benefit the community, promoted by the Lombard Horticultural Society; it stemmed from an idea of the President Gianluca Brivio Sforza, made possible with the support of Milan Municipality and the cooperation of the Museum Department of Milan Municipality. Free Admission for everyone. The exhibition was held in some of GAM’s most prestigious rooms, (Milan Modern Art Gallery), with free admission from May 9th – 20th 2012 with the theme of Nature, divided into different subjects such as Trees, Flower portraits, Atmospheres and Landscapes, both black and white and colour. Italian and foreign photographers were invited to participate in this event, from as far afield as the United States and Indonesia, England and Poland, in order to show how the passion and love for nature and its representation through photography are at the centre of research in every country of the world. The selection of the Artists and their work expresses the love of nature in a cross-section of techniques and expressive capacity. The exhibition, far from wanting to exhaust such an important argument as nature, tries to give food for thought through the suggestions and emotions that these works arouse. These photographs, ranging from those taken with analogical cameras and printed on palladium platinum to the latest technologies, try to emphasise how contemporary photography, in the present highly computerised period, is still closely linked to its historical traditions. The Exhibition was the idea of the Lombard Horticultural Society in cooperation with Milan Municipality, curated by the architect Iaia Gagliani. SHADES OF GREEN| sfumature di verde | Landscapes, portraits, flowers, timeless atmospheres … in photographic art. To speak of photography today means facing a reality in rapid and continuous movement both regarding technique and the more artistic aspect. An ever-increasing number of people approach this fascinating discipline and the progressive proliferation of international websites completely dedicated to photography, constitutes a creative universe of great interest and value ready to tap. The invitation to participate in this event was sent to Italian and foreign artists, both professional and amateur, precisely for this reason so that this comparison would allow, even on a small scale, the richness of nuances and the great variety of means of creative expression which now distinguish the complex, well-structured world of photography. Of course, since Orticola is the promoter of this event, the colour green was chosen since it, more than any other, evokes and sums up the mission and significance that this important society has held since its foundation. Suggestions, dreamlike visions, sometimes almost surreal, to the point of fusing photography with painting. Thus landscapes, portraits, flowers, timeless atmospheres are represented. Elegance, refinement, delicacy and irony linger in the works chosen for this event, intended to be the first of a long series dedicated to photography. Maurizio Galimberti, guest of honour at the exhibition, presented the new collection 7 Fiori (7 Flowers), created in 2008 expressly for this event.